Just before Christmas we took in Jingle and Frosty, a black long haired adult male and a black and white young adult female brought to us by the RSPCA. These cats were very nervous at first and we knew that it would need a lot of work and time before they would be ready for re-homing. Frosty was the first to begin to trust us, but we despaired of Jingle but then in May he too decided that not all humans are bad (although he is still the more nervous of the two). They have both been neutered, vaccinated and chipped and are ready for a quiet forever home, they don’t have to go together although if someone did offer to take them both we would be delighted. Call us on 01772 750263 if you would to offer a home to one or both of these lovely cats. Christine works full time so if no-one answers please leave a message, we will call you back. Phoebe, was living outside in a greenhouse in Blackburn with her one week old kitten. We went and collected them as well as Cassie, a tortoiseshell and white cat that was coming to the lady’s house for food. Phoebe’s kitten has now been homed. 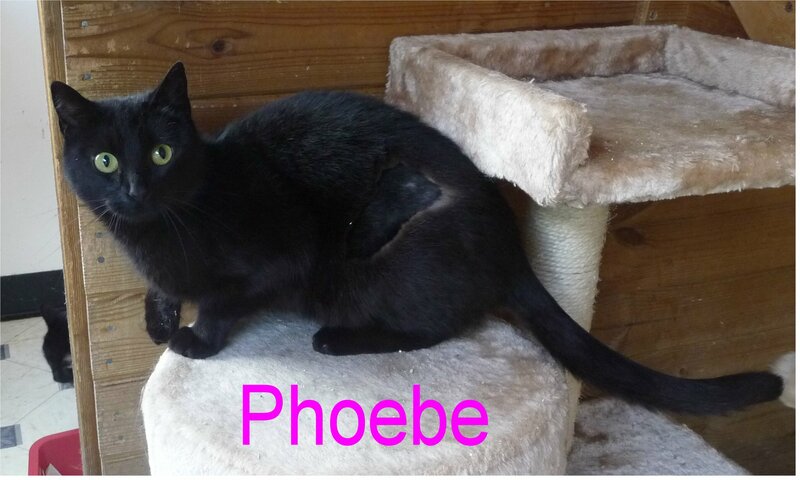 Phoebe has now been neutered, fully vaccinated and chipped . 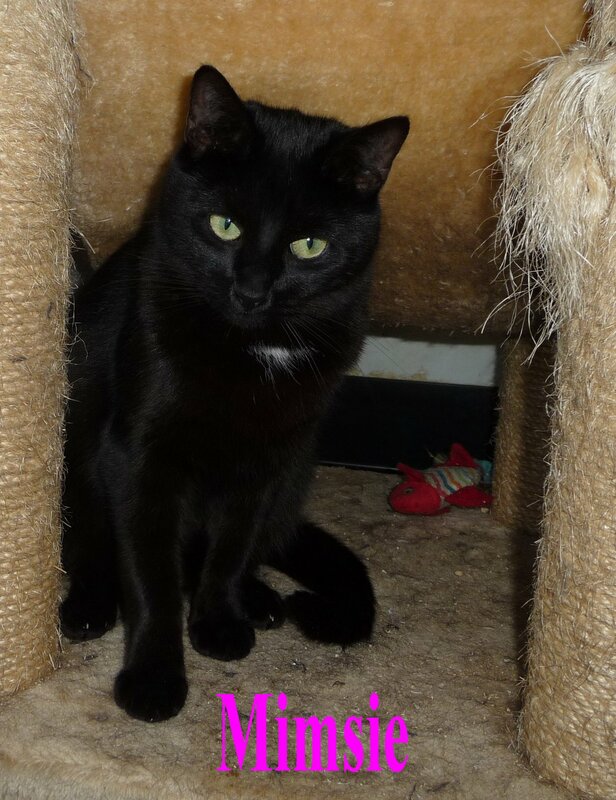 She is a little bit timid but is getting friendlier every day, she needs a quiet forever home. 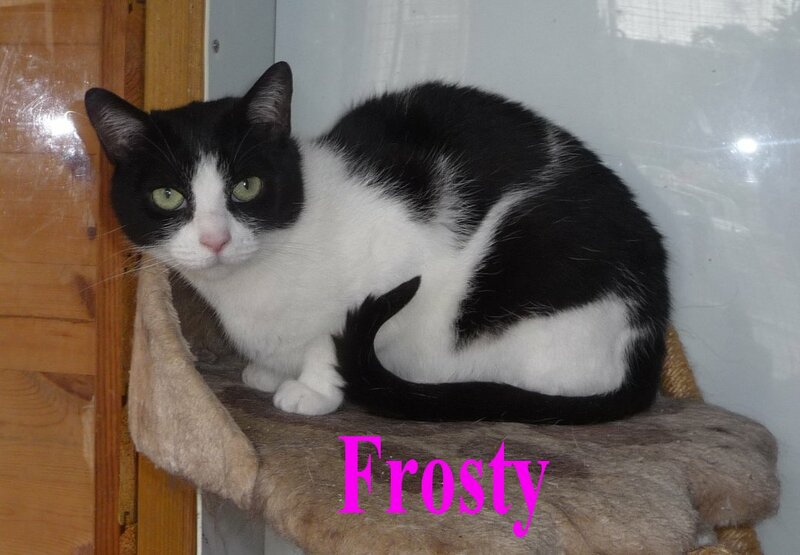 Call us on 01772 750263 if you live local to Preston, Lancashire and would to offer a home to any of our lovely cats. Felix is one of the two remaining “Cemetery Road Cats”, their keeper moved house and left them behind to fend for themselves. A nearby resident built them a shelter in her backyard and kept them well fed, her own cats weren’t too happy about these intruders though and we were asked to help. We took them in but because they hadn’t been handled much they were all quite timid. She (Yes! Felix is female!) 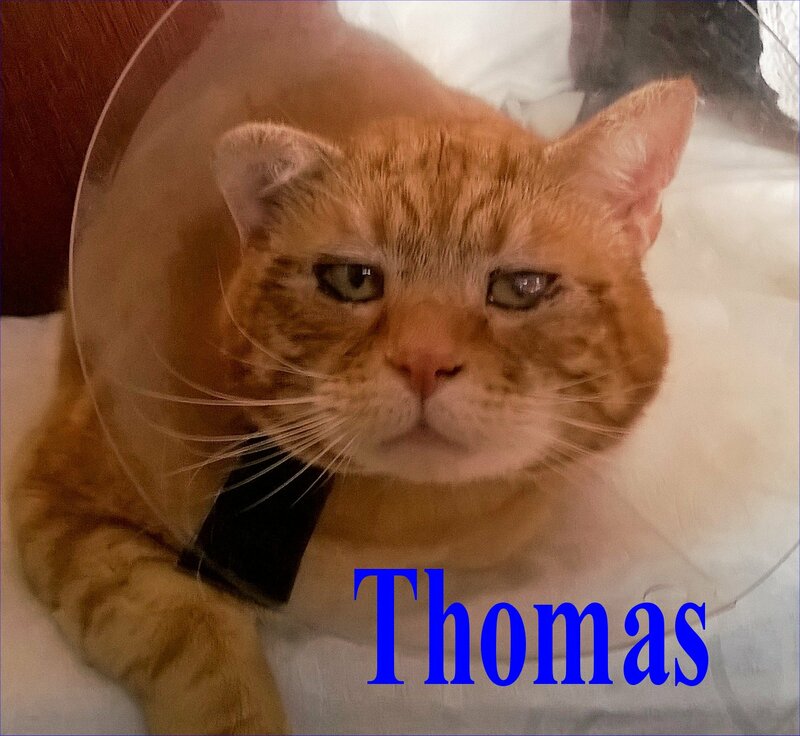 is about two years old and has been neutered, vaccinated and chipped, although still a little shy we feel he is ready for her forever home with an understanding, patient carer in a quiet home. 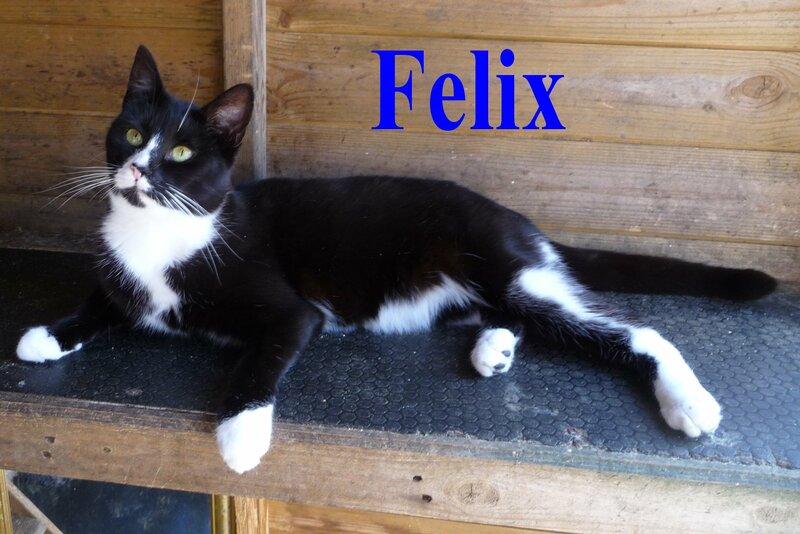 Call us on 01772 750263 if you live local to Preston, Lancashire & would to offer Felix a forever home. Mimsie is one of the “Cemetry Road Cats”, their keeper moved house and left them behind to fend for themselves. She is about two years old and has been neutered, vaccinated and chipped. Although Mimsie is still quite nervous we feel she is ready for her forever home with a very patient and understanding carer in a quiet home. Failing that we would be happy for her to go as an outdoor cat to a small holding or stables environment. Call us on 01772 750263 if you live local to Preston, Lancashire & would to offer Mimsie a forever home.